You design it, we will build it! 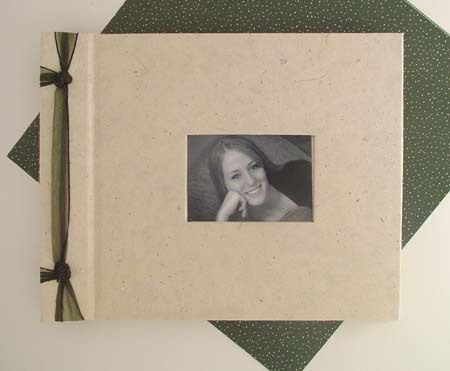 Our ever-popular natural lokta guest book or photo album shown here with a photo cut-out on the cover and a ribbon binding tied in french knots for a contemporary look. Choose lined or unlined pages in off-white, ivory or black. For details on pages, see below. Group of three wedding guest books in large, medium and small. Shown in floral papers. Ribbon binding tied in a bow gives a soft, romantic look. (click photo to enlarge) Another favorite. 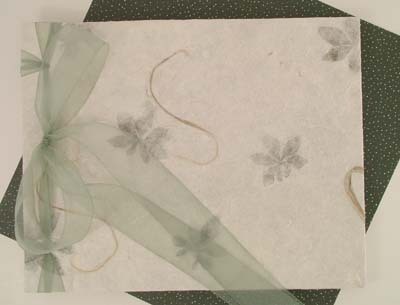 Woodlands handmade paper for the cover and a delicate sage green ribbon tied in a soft bow. 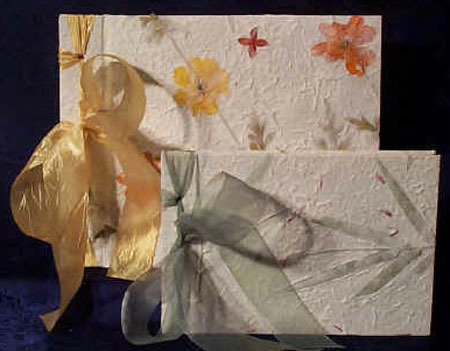 To view other paper selections, please visit our handmade paper page. 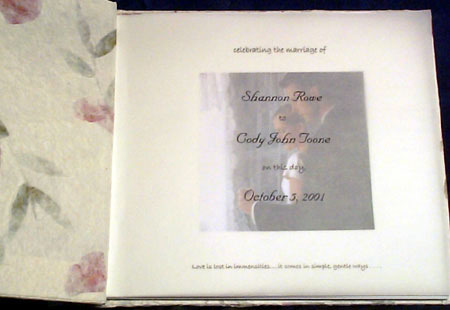 Choose a customized vellum overlay page with your names, wedding date and any quote or thought uniquely special to represent you. Place a photo beneath and you have a stunning introduction to your guest book. For more information, go to the customization page. (click photo to enlarge) Our natural lokta photo guest book with a sage ribbon. Choose any handmade paper for the cover and lined or unlined pages. 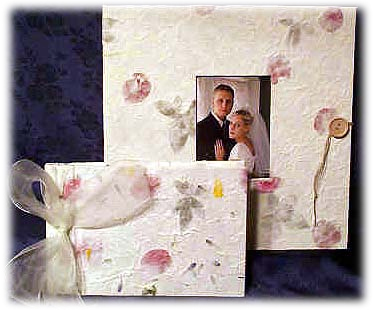 How about a matching wedding guest book and wedding photo album or scrapbook to display on your sign-in table? Another example of a customized vellum page. For more information, see customization page. 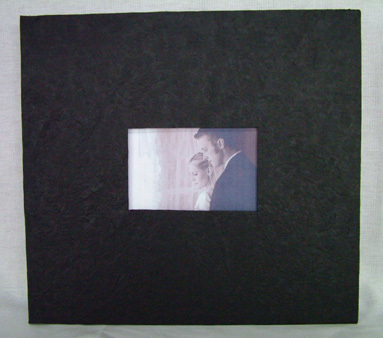 Choose from our large selection of handmade papers to create a dramatic photo album or scrapbook. To view our complete selection of scrapbooks, visit our scrapbook page. If you are looking for a unique guest book that is more than a list of names, our photo guest book is for you. Arrange your photos on each page and have your guests autograph their best wishes and comments around them. 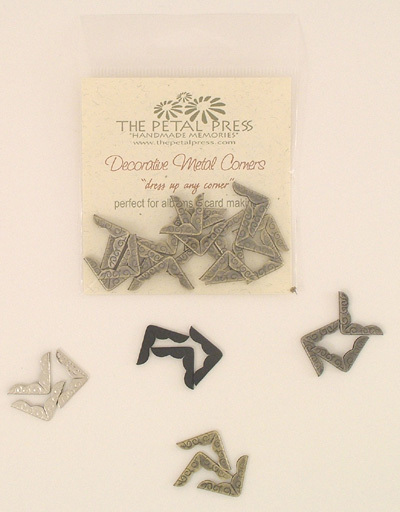 For an "extra special extra" add our decorative metal corners as described below. 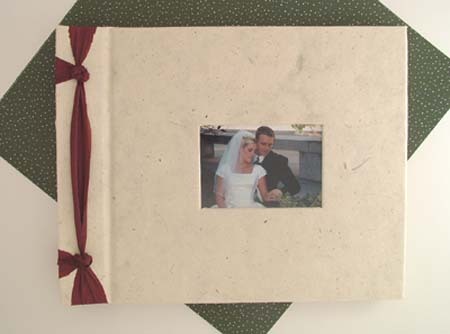 Completely customize all of your wedding accessories with matching invitations, guest book and photo albums. 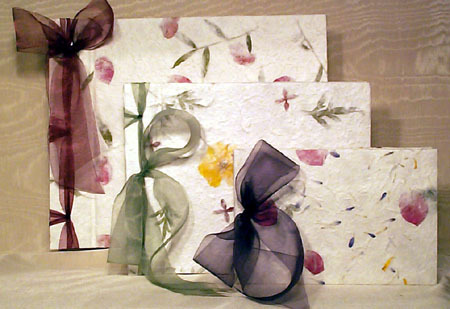 Please click here to see our invitation collection. 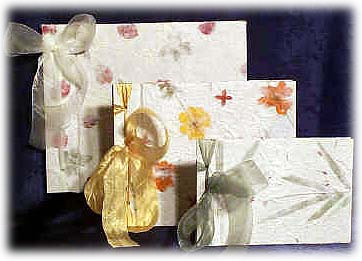 Small, medium and large ribbon-bound guest books or albums. Two more ribbon-bound guest books in medium and small size. Lined pages are cream color, "recycled" paper with "Our Guests" printed at the top of the page. Lined pages are available in small and medium size only. Unlined pages are near-white, felt weave stock which is heavyweight and suitable for mounting photos and autographing best wishes. Pages have "self-spacers" allowing for even expansion with placement of photos. Unlined pages are available in medium and large size only. These pages are available in off-white, ivory and black. Black pages make a dramatic background for your photos. All pages are acid-free. Each album contains a vellum first page. 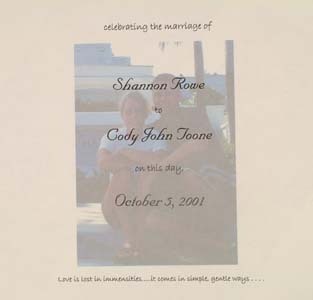 In medium and large size, a vellum overlay first page is available personalized with the couple's names, wedding date and favorite quote. A photo can be mounted on the page underneath to show through the vellum. 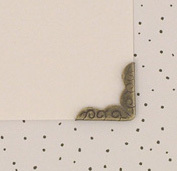 Decorative Metal Corners are here! We have beautiful decorative metal corners to add that final touch to your albums. 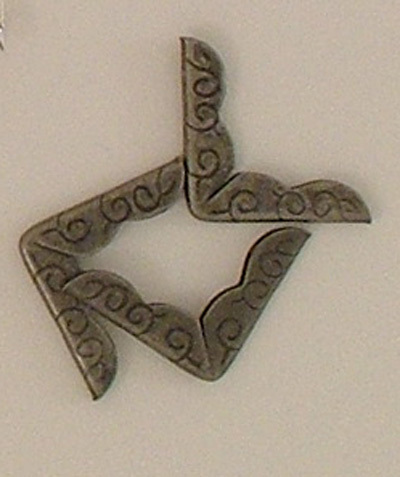 They are available in pewter, antique gold, nickel and black. They easily slip onto the corner of your pages in just seconds and provide a very classy finishing touch to your pages. They are available in black, antique gold, pewter, and nickel for $2.99 per package of 20. 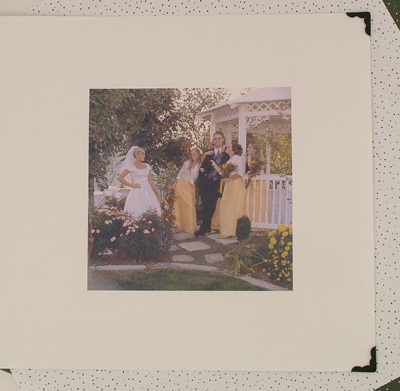 Slip-On sheet protectors are available for both medium and large albums. These are completely acid free, archival quality and clarity. These pages will help protect your photos and signatures and keep them a bright memory long after the special day has past. These are available at $5.00 for a package of 20 sheets. 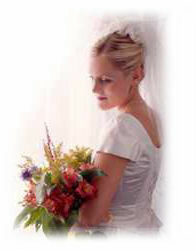 To visit some of our favorite wedding sites we think may interest you, please visit our page. The economic crisis hit Switzerland in Generous rolex watches 1929, but replica watches was not affected. It invented an automatic chain mechanism in Extraordinary as if done by the spirits eplica watches this period, created the "perpetual" later become fashionable for replica watches uk a time (Perpetual) type table.